I think you have less than 200 followers. Je parle américain (in English). The adventures of a forty-something-year-old gay American in Paris. Now, I’d never heard of the Liebster Award before, but who doesn’t like getting a message like that from a fellow blogger? And who doesn’t like the opportunity to give an acceptance speech worthy of the Oscars … or more timely, the Tonys? 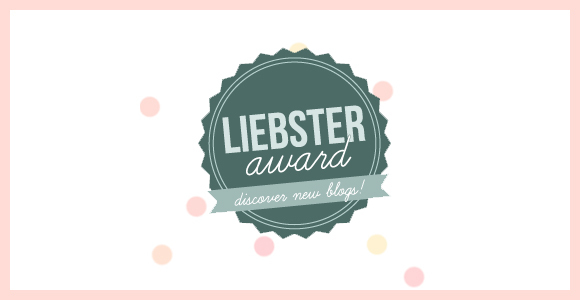 After doing a little research on the Liebster Award, I learned that it’s really a sort of chain letter among bloggers. You get nominated by a fellow blogger and, to accept the nomination, you have to respond to a series of questions, nominate others, and pose questions to them. In a medium like blogging — which is all about sharing and building connections — it seems like a pretty cool award to receive and pay forward, so I had to graciously accept. On top of it, I just love the name; it means “dearest” in German. Okay … so it’s not French, but how cute is that? 2. Answer the 11 questions that your nominating blogger posed to you. 3. Choose 5 other bloggers you like who have fewer than 200 followers, and link to their blogs in your post. (Some nominees choose as many as 11 others.) Keep in mind, too, that a “tag back” (nominating the blogger who nominated you) is considered poor form. 4. Pose 11 questions to the bloggers you’ve nominated. Thank you very much, members of the Academy — especially Nathalie of Aujourd’hui, j’ai testé — for making this moment possible. I never dreamed I’d be on this stage receiving this award, but I am grateful for and flattered by your recognition of my work. I also want to thank WordPress and Ben Martineau for providing the platform and the theme for the blog; countless French bakers for providing both the calories to keep me going and the beautiful creations that have graced the pages of je parle américain; the industrious engineers of the Paris Métro for building a system simultaneously intriguing and frustrating; generations and generations of French people for making the history I often write about; my family, friends, and readers for their love and support — surtout mon merveilleux mari, Michel “Babydog” Pouradier (je t’aime, mon ange) — and last, but certainly not least, the entire French bureaucracy for generously and unfailingly providing so much of my inspiration. You will never know how important you were to the birth of this amazing project! Thank you! Thank you all so very much! 1. je parle américain was the brainchild of Michel “Babydog” Pouradier, who suggested it to me as a personal project to help get me out of a mild depression in the summer of 2011. It worked! 2. I was born in a small town in South Carolina (Hartsville), and I grew up six miles outside an even smaller nearby town (Bishopville). 3. I’m an only child. 4. I studied French for four years in high school, but when I came to live in France in 2010, I didn’t speak it well at all. That’s probably because I also studied German, Turkish, and Arabic in the interim. 5. I’ve been a vegetarian since November 2004. 6. I’ve never broken a bone … well, at least not one of my own. 7. I once thought I was going to become an Episcopal priest. Although that idea is now on the back burner, I’ve never completely removed it from the stovetop. 8. I want “Gabriel’s Oboe” by Ennio Morricone played at my funeral. 9. My favorite candy is nougat with pistachios. I also like Lemonheads. 10. I own lots of cufflinks, but I never wear them. 11. I dream of going to India for Holi, the festival of colors. Oh, and for the food, too. I love paneer and pakora. 1. If you had to create a blog about a different subject, it would be … a fictional, historical travel blog. I’d write about journeys to famous places, but from the perspective of fictional travelers from various time periods. 2. Your favorite dish? Paneer chili (see above, #11). 3. The ingredient you hate? Celery. 4. A shameful dream? I have to pass on this. It’s too shameful. 6. Your most beautiful childhood memory? Picnicking with my parents in the pine forest behind our home. To me, it always seemed a great adventure. 7. The greatest proof of love, according to you? To sacrifice one’s own needs to comfort and provide for another. 8. Your first job? Cashier, stock boy, chicken broaster, and short-order cook at a service station on I-20 near my hometown. 9. The best quality in a human being? Compassion. 11. 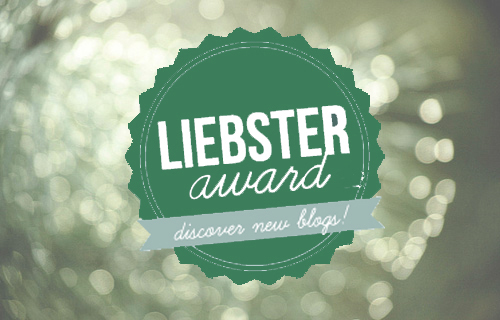 Did you know about the Liebster Award before now? Not at all! who holds a simply beautiful perspective on life. French useful to students of the language. daily family life in the South of France. now living in France for 25 years. who came to France to live a dream. but there’s a reason for that, so that’s why I recommend her! Okay, so that was more than 5. I couldn’t stop myself. 1. What’s the first substantial thing you have a clear memory of writing? 5. Who’s your favorite writer (fiction, non-fiction, contemporary, 1000 years old, whatever genre and period you decide)? 6. Your first celebrity crush? 7. Have you ever written a book? If so, what is it? If not, and you could do it, what would be the subject? 8. What destination is at the top of your dream vacation list? 9. What infuriates you more than anything else? 10. What makes you smile more quickly than anything else? 11. If you had to live during any other period of history, which one would you pick? Thanks again for the nomination, Nathalie! And thanks to all my readers for supporting je parle américain. To my nominees, pay it forward, y’all! Excellent! It’s an award well-deserved. I love your blog! Bonne continuation ! Isn’t time seeing all of this. Wifi didn’t provide rest of content. thanks for your nomination & kind words. I’m back in STL with superior wifi and inferior healthcare. I miss my fr. Doctor. Back in Cassis sept 3.